Richland Center is a Tree City USA for 20 Years & has received the Growth Award for 6 Years & counting! The following businesses have shown proof of insurance and obtained a license to cut trees within the City of Richland Center. Any other businesses need to obtain a license before cutting any trees in the City. Contractors are not permitted to place trees or brush outside of the landfill area. They must take the debris inside the landfill. The landfill will be open during between 8am and 3pm this week for City residents. Approved Townships may also use the landfill during regular open hours – Mondays & Wednesdays from 8am to 1pm and Saturdays from 8am to noon. 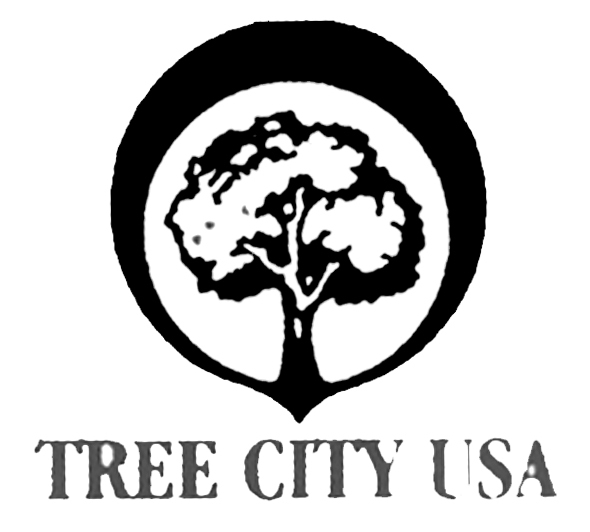 Do you know the definitions of “city trees” or “street trees”? City Trees are any trees, shrubs or woody vegetation that lie in the street and/or alley right of way, on the boulevard/terrace, in the parks, on city owned property or on waterways and easements. Street Trees are any trees, shrubs or woody vegetation that lie in the street and/or alley right of way or on the boulevard/terrace. 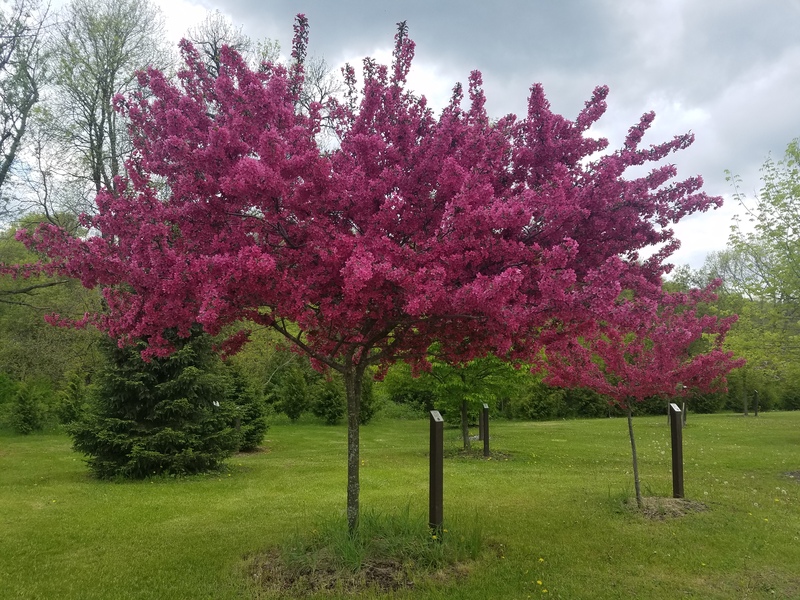 The City of Richland Center has over 4,000 boulevard, park and cemetery trees. All of these trees are the property of the City and are under the jurisdiction of the Tree Board. If the City removes a tree adjacent to your property, they will plant a replacement tree, at no cost to you, considering your approval. 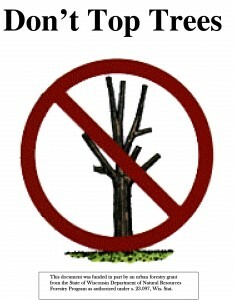 If you do any work on a city or street tree, you must first fill out a permit application from the Forestry Department. This includes planting, trimming or removal. The City Forester will evaluate the project and then either grant or deny the request. This process will take approximately two working days. Did you know that if you plant a tree wrong now, it most likely will never reach maturity? 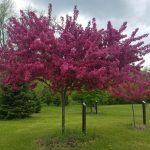 The City of Richland Center has adopted a very aggressive and pro-active Urban Forestry Department. A Tree Board was established in 1998 to oversee the activities of the department. Its’ mission is to coordinate community forestry issues, develop comprehensive forestry policy recommendations, develop educational efforts on proper tree management, seek public & private funding for community forestry management, coordinate demonstration projects and integrate natural resource issues into local & regional planning efforts. These activities are funded through the City of Richland Center and from generous grants from the DNR. These educational activities have made a direct, beneficial impact on the community. The Tree Board consists of three members of City Council, two citizens at-large and two City employees and is governed under City Ordinance 301. A copy of this Ordinance can be obtained at City Hall. The Tree Board meets the 2nd Monday of each month at 5:15 P.M. at the Community Center. 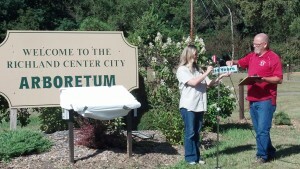 The City Arboretum was established in 2003 with matching funds from an Urban Forestry DNR Grant. From this grant, 134 trees were planted. Since the initial planting, the arboretum has been expanded to include 200 trees and shrubs, with 65 different varieties. The arboretum is located on Hwy 14 near the City Utilities’ Waste Water Treatment Facility next to the Pine River. It is designed for self guided tours 7 days per week. Each tree is labeled with a brief explanation. For more information, Call 647-8108 Ex. 2. This project is funded by a group effort under an Urban Forestry Grant, local donations, volunteer work and the City of Richland Center. The City of Richland Center owns and manages 450 acres of forest surrounding the city. In 2008, the Forest was enrolled in the State Community Forest Program giving the City services from the State to aid in management, technical assistance, planting and harvesting. Sites include the Landfill, the land overlooking Rockwell Automation, the Cemetery, the North Industrial Park and the river forest to the north of the North Industrial Park bridge. Bottomland hardwoods are potentially some of the most productive woods in Wisconsin. Located on deep silt loam soils that have been deposited along the banks of the Pine River as a result of frequent flooding. Management can be difficult as the timber species that grow in the bottoms tend to be lower value species. Logging can be difficult because of the flooding. Frozen ground is generally the best time to log. Other difficulties include an invasive exotic reed canary grass which can invade the understory of these stands & prevent young trees from growing. The emerald ash borer has the potential to effect the bottoms by killing one of the most common trees found there, the green ash. #16- A sawlog bottomland hardwood stand. Trees common to this stand are silver maple and green ash. Box elder, elm and cottonwood can also be found. 49 acres. #18- Patches of young trees and reed canary grass. Silver maple are invading this stand. 88 acres. #17- A large, scattered sawlog bottomland hardwood stand with 30 year old pole timber. Trees common to this stand are elm, box elder, green ash, silver maple & cottonwood. 10 acres. #18- Patches of young trees and brome grasses with some common forbs. Box elder trees are invading this stand. 88 acres.